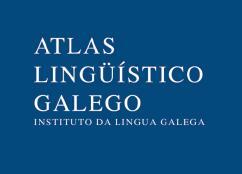 The Galician Language Atlas (Atlas Lingüístico Galego or ALGa for short), one of the ILG's star projects, is an ample, descriptive compendium of geographical variation in modern Galicia. From 1974 to 1977, three of the Institute's scholars carried out surveys in situ in 167 localities in the Galician language area, 152 of which were in Galicia and fifteen in Galician-speaking places in Asturias, Leon and Zamora. The questionnaire, consisting of 2,711 items, yielded an average of four thousand language forms per locality, which were fed into a data base which contains close to half a million items including the texts of responses and abundant supplementary information. Using this data, a map representation of the responses for each item in the questionnaire can be generated by implementing a software programme for the management of geographical information. The following volumes have been published to date: I Verb morphology (1990), II Non-verbal morphology (1995), III Phonetics (1999), IV Lexicon: Time and weather (2003) and V Lexicon: Human beings (I) (2005). The publication of VI The land: Trees and plants will take place in 2015, to be followed by VII Lexicon: Human beings (II).